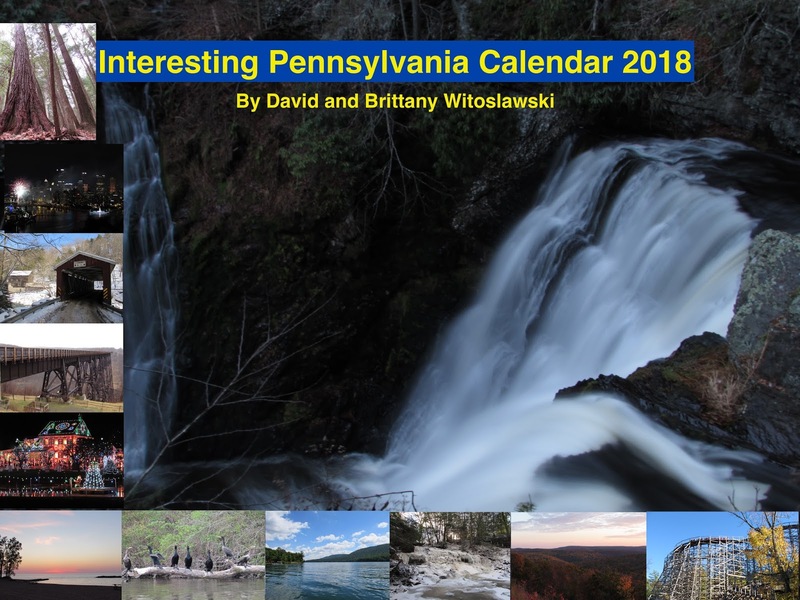 Today we are pleased to announce the release of our 2018 Interesting Pennsylvania Calendar. This wall calendar features sights from many sites across the state, including views from Pittsburgh, Cook Forest State Park in Clarion County, McConnells Mill State Park in Lawrence County, Kinzua Bridge State Park in McKean County, Koziar's Christmas Village in Berks County, Presque Isle State Park in Erie, Nockamixon State Park in Bucks County, Raystown Lake in Huntingdon County, Springfield Falls in Mercer County, Knoebels Amusement Park in Elysburg, and the High Knob Overlook in Loyalsock State Forest, near Worlds End State Park in Sullivan County. 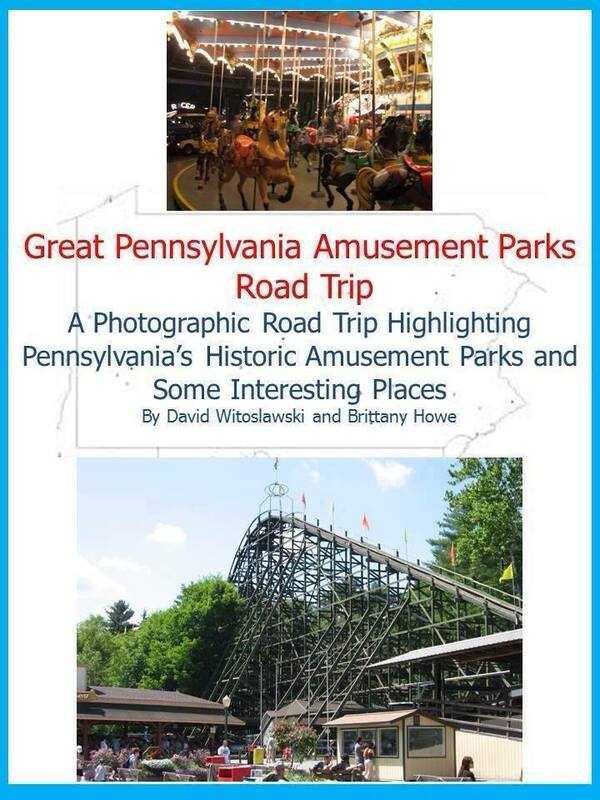 Also available is our book "Great Pennsylvania Amusement Parks Road Trip" through the drop-down menu at the top of our page. Thank you for your continued support!